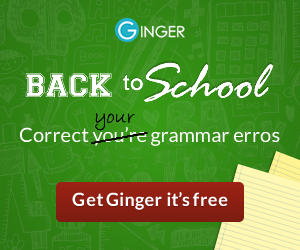 Makes sentences as concise as possible. 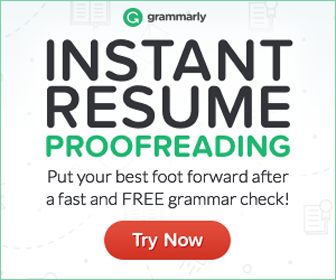 Adverbs are not present in this app. 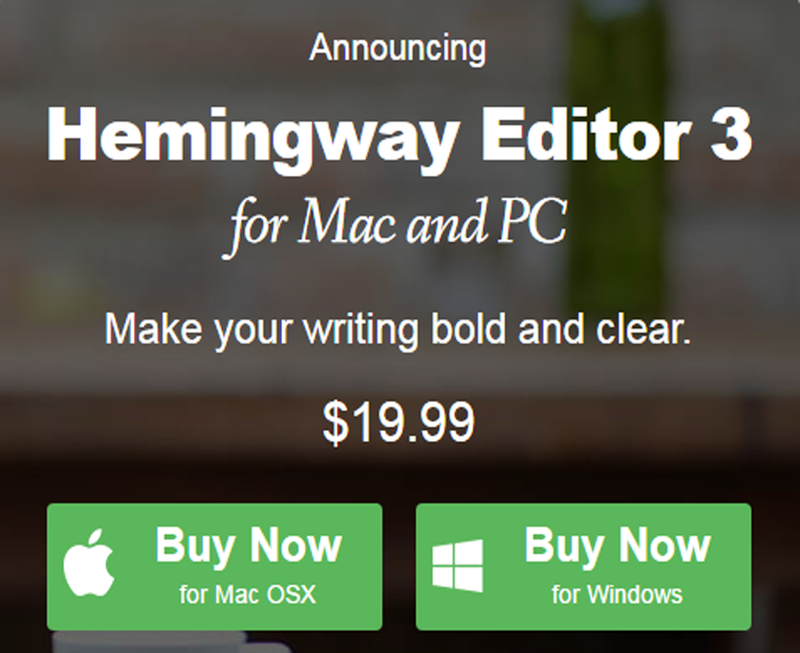 Hemingway App is designed to make editing just a matter of minutes without eliminating the work completely. 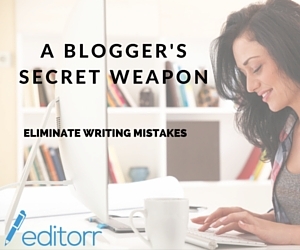 So, you’ll concentrate more on building on strong content rather correcting grammar and spell-check. 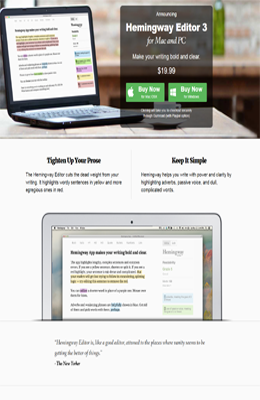 This app makes writing style clear and bold so that it focuses on readability, not the prose. Hemingway app will highlights errors where writing is too dense and will remove, replace, split sentences and words wherever require. 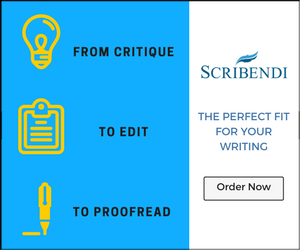 The offline availability of this tool makes editing and correcting possible even when not online. 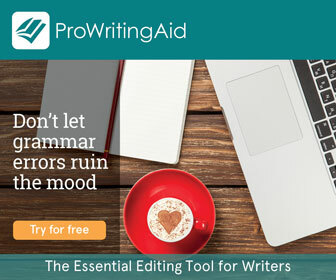 Hemingway uses frequent tooltips to give articles correction and check the flaws that remain within the text. This app is not so context friendly so it might happen that context is not understood able and thus goes wrong.